Sepsis is an infection in the bloodstream that poses severe health risks. It can directly infect the central nervous system or its surrounding membranes. In instances of neonatal sepsis, infection is transmitted through the amniotic fluid or during vaginal delivery as the baby passes through the lower genital tract. Given the severity of neonatal sepsis, the threshold for treating it is very low, prompting physicians to even treat cases where sepsis is suspected. Sepsis in newborns can also cause shock (known as septic shock), severely decreasing blood flow and pressure and compromising brain function. Doctors treat neonatal sepsis with antibiotic regimens. While the only way to confirm sepsis is to test cell cultures, treatment should begin even before test results come back. Sepsis in a newborn, called neonatal sepsis, is a very dangerous condition in which a baby has an infection in his or her bloodstream. This infection can cause meningitis (infection around the brain and spinal cord), septic shock (organ dysfunction and decreased blood flow), and encephalitis (inflammation of the brain that can lead to lifelong disabilities such as hypoxic-ischemic encephalopathy, cerebral palsy and seizure disorders). Neonatal sepsis is often caused by group B streptococcus (GBS) and sometimes chorioamnionitis, which are infections that can travel to the baby before or during delivery. Risk factors for sepsis include preterm delivery/premature birth and the mother’s water breaking early, which is called premature rupture of the membranes (PROM). An infection can be transmitted to the baby through the amniotic fluid or during vaginal delivery when there is bacteria colonizing or infecting the mother’s lower genital tract. Sometimes infection occurs within the first seven to ten days of the baby’s life. By some definitions, this would be considered early-onset sepsis (EOS). Others define EOS as sepsis occurring in the first 72 hours of life; after that, they would refer to it as late-onset sepsis (LOS). S epsis must be diagnosed and treated very quickly because a delay in treatment will worsen the outcome for the baby. Sepsis can not only cause permanent brain injury and cerebral palsy, but it is also a significant cause of death in babies, especially those that are premature and/or have a low birth weight. In fact, the potential consequences of neonatal sepsis are so severe that researchers recommend that clinicians have a very low threshold for treating potential sepsis in a baby. This means that in most cases, even suspected sepsis should be treated promptly. is lethargic or hypotonic (floppy). Research shows that on the first day of sepsis, most infants have new onset of apnea or a slow heart rate (bradycardia). One study found that the most common signs of neonatal sepsis were apnea, hypoxia (baby suffering from a lack of oxygen), lethargy, and gastric problems. Neonatal sepsis is considered severe when the baby has heart, blood flow, and blood pressure problems (cardiovascular problems), sudden onset respiratory distress syndrome (RDS), or dysfunction in two or more organ systems, called multi-organ failure. In babies with severe sepsis, there is inflammation in the baby’s body that can cause a lot of damage. Inflammation from sepsis causes a cascade of biochemical events that can be very harmful to almost all the baby’s organs, including the brain and lungs. Multi-organ dysfunction caused by sepsis is called systemic inflammatory response syndrome (SIRS). Sepsis can cause the baby to go into shock, which means his or her blood flow and blood pressure are severely hindered. This happens because sepsis can cause the blood to move out of the blood vessels and into space next to the vessels, which means the blood is then not useful for important functions, such as oxygen, glucose, and nutrient transport. Low blood pressure and poor perfusion can cause very serious heart problems. Septic shock can cause a severe lack of blood flow to the baby’s brain, which can cause brain injury and cerebral palsy – even when there is no meningitis. Thus, in addition to antibiotic treatment for sepsis, which is discussed later, doctors must give fluid therapy when a baby is in shock to increase the baby’s blood pressure and blood volume. Volume expansion therapy includes crystalloids (solutions of mineral salts or other water-soluble molecules) or colloids (such as blood) to help improve circulation, blood return to the heart, and the amount of blood the heart pumps out to the body. Failure to quickly treat shock can not only cause cerebral palsy, but also death. The definitive diagnosis of neonatal sepsis is made by a blood test to determine if there is a certain bacterium in the baby’s blood (blood culture). Results from these blood cultures can take a long time, and there are false negative results in about 10% of cases, meaning that 10% of the results show that no sepsis is present in the baby when the baby actually does have the infection. Because of this, it is very important for doctors to do clinical assessments and lab tests to determine if a baby is at risk of developing sepsis and resultant cerebral palsy. If a baby is at risk, treatment must be initiated immediately while waiting for the blood culture results. If a baby’s blood culture is negative for sepsis but doctors suspect the baby probably has it, clinical assessments and lab tests should continue, and a full course of antibiotic therapy should be given to the baby to treat the probable sepsis and prevent seizures and cerebral palsy. Since the signs and symptoms of sepsis can be subtle, any deviation from a baby’s typical pattern of activity should be seen as a potential indication of sepsis. Also, if a baby has identifiable risk factors and/or physical findings consistent with sepsis, he or she should be evaluated for the condition. Using molecular diagnostic blood tests to identify sepsis-relevant microorganisms in the blood may be a faster and more reliable method of testing for neonatal sepsis, but these tests are costly and are not available in most hospitals. When a baby has symptoms of sepsis, most doctors do blood cultures (two separate tests), a culture of the CSF, and a complete blood count (CBC). Many also test the baby for signs of inflammation. Antibiotics are the treatment for neonatal sepsis. Ampicillin in combination with gentamicin is commonly given. In some cases, treatment with cefotaxime is appropriate. Ceftriaxone should be avoided in most cases because it places a child at risk for kernicterus, which is an infection in the brain that causes cerebral palsy. Clindamycin is another antibiotic that may be added to treatment if anaerobic species are a suspected cause of the neonatal sepsis. This is rare, however. How Can Sepsis Result In Cerebral Palsy? When a baby has sepsis and the infection directly enters the central nervous system or causes inflammation in the brain, the baby may develop meningitis, which is inflammation of the membranes that surround the brain and spinal cord. Meningitis can cause fluid build-up in the brain (edema), increased pressure in the brain (increased intracranial pressure), brain abscesses (pus-filled pockets), hydrocephalus, cerebral infarction, and stroke. These conditions are extremely damaging to the brain. Doctors should promptly treat sepsis in order to decrease the chance of meningitis. Signs of meningitis include a failure to respond to antibiotic therapy, bradycardia, respiratory depression, bulging fontanelle (soft spot), fast head growth, separation of parts of the skull (separation of cranial sutures), weakness on one side of the body, and seizures. When meningitis occurs, it must be treated as soon as possible to try and minimize the brain damage that can occur. Brain damage caused by meningitis can cause cerebral palsy, developmental delays, seizure disorders, and learning disabilities. Cerebral palsy, sepsis, and meningitis are difficult areas of law to pursue due to the complex nature of the disorders and the medical records that support them. 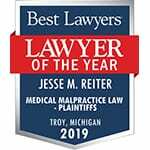 The lawyers at Reiter & Walsh have decades of experience with birth injury cases that involve a lack of oxygen in the brain (HIE), sepsis, meningitis, GBS, chorioamnionitis, seizures, and cerebral palsy. We handle cases all over the United States, in places including Pennsylvania, Tennessee, Mississippi, Texas, Wisconsin, Michigan, Ohio, Washington D.C., Arkansas, and more. Additionally, our team handles cases involving military hospitals and federally-funded clinics. 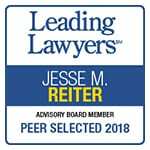 To find out if you have a case, contact Reiter & Walsh, P.C. to speak with an experienced attorney. 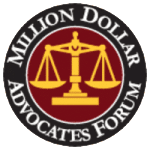 We have dozens of multi-million dollar verdicts and settlements that attest to our success and no fees are ever paid to our firm until we win your case. We give personal attention to each child and family we represent. Edwards MS. Clinical features and diagnosis of sepsis in term and late preterm infants. In: UpToDate. Kim MS (Ed), UpToDate, Waltham, MA, 2014. Polin RA, Committee on Fetus and Newborn. Management of neonates with suspected or proven early-onset bacterial sepsis. Pediatrics 2012; 129:1006. Cohen-Wolkowiez M, Moran C, Benjamin DK, et al. Early and late onset sepsis in late preterm infants. Pediatr Infect Dis J 2009; 28:1052. Edwards MS, Baker CJ. Sepsis in the Newborn. In: Krugman’s Infectious Diseases of Children, 11th ed, Gershon AA, Hotez PJ, Katz SL (Eds), Mosby, Philadelphia 2004. p.545.